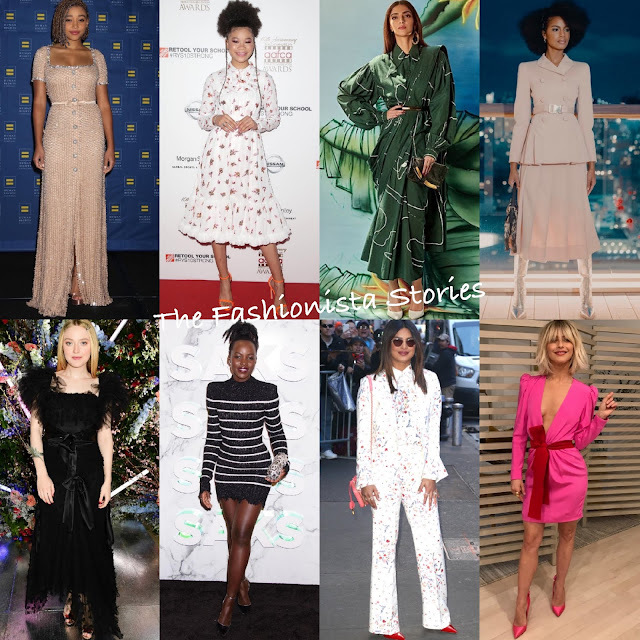 Home » Amandla Stenberg , Best Dressed , Dakota Fanning , Ebonee Davis , fashion , Julianne Hough , Lupita Nyong'o , Priyanka Chopra , Sonam Kapoor , Storm Reid » Vote: Who was your Best Dressed Fashionista of the Week? Happy Friday! Closing out the week with the Best Dressed Fashionista of the Week poll. My top pick is Ebonee Davis, followed by Amandla Stenberg, Sonam Kapoor, Lupita Nyong'o, and Dakota Fanning. Who are your picks?